Shoppers are preparing for Christmas already, are you? While we may just be settling into September, a recent survey of 1000 adults revealed that 27% of people had already started their Christmas shopping in August. As consumers are already preparing for the up-coming busy season, retailers are urged to do the same to keep up with demand. PrintDesigns, a leading producer of printed materials for the retail sector, offers a huge selection of custom printed products to help stores to advertise their best deals to Christmas shoppers that are searching for a bargain. The study, conducted by toy company Hexburg, also revealed that the most meticulous seasonal shoppers would often monitor new festive product launches as they happen, highlighting the need for bricks and mortar retailers to make their offerings visible in order to catch this steady segment of spenders. 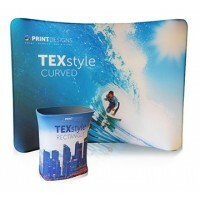 Printdesigns helps stores to boost their promotional efforts with its low-cost marketing materials, including large format solutions such as pop up stands, easy to store roller banners and other retail focussed display stand products such as A boards and poster holders. The survey by the robotic toy company also found that 20% of those questioned had planned to start their Christmas shopping in September, once their children has retuned back to school. For bigger product launches, a custom printed pop up stand could create an eye-catching in-store focal point, used as part of standard visual merchandising efforts or for more focussed one-off events. Smaller and versatile solutions such as the aluminium A-board come with interchangeable graphics, allowing shops to promote their latest offerings and deals, or to simple entice passers by into their store with a welcoming and inviting message.